Baby teeth not falling out immediately as an adult tooth is coming in is relatively common. Around ten percent of kids have that issue, and most of the time, it is not a big problem. Shark teeth, as the situation is typically called, often correct themselves as the permanent adult teeth come in and sit at their normal adult height. However, if your child still has baby teeth once the adult teeth are set, you should make sure you go in and see your child's dentist. It is important that you know (and that your child knows, too) that this situation is normal and often resolves itself on its own. If your child's adult tooth came in behind the baby tooth, in a week or two, it will likely fall out just like the rest due to the pressure that the permanent tooth is placing on the baby tooth. If you notice that your child still has the baby tooth after a few weeks, go in and let the dentist take a look. 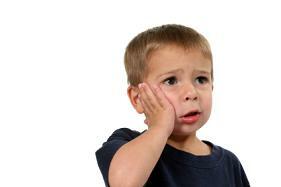 Some baby teeth simply do not want to go anywhere, so the dentist may need to pull that tooth. This is often something that causes very little discomfort to your child, and can be done while the dentist is already in his or her mouth. Occasionally, however, it could lead to an issue where the adult teeth coming in behind the baby teeth get crowded and do not come in straight. This is something your child's dentist will talk with you about during your appointment if it is a problem. Shark teeth do not need to cause your child, or you, any concern. It is a normal situation that will likely resolve totally on its own. If you have any other questions, contact our office a call today.